170103 passes Fiddington (on the long straight between Eckington and Tredington - yes there are a lot of 'ingtons' in the area!) 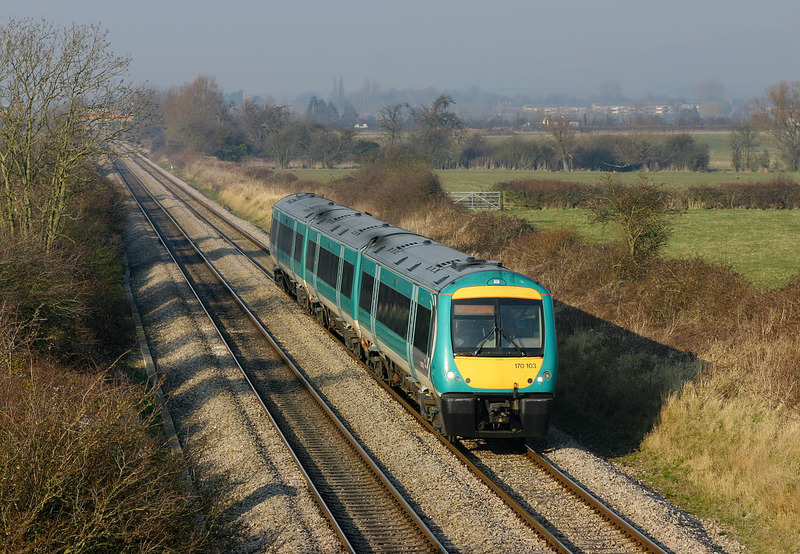 on 18 February 2008 with the 1V30 13:00 Nottingham to Cardiff Central CrossCountry service. The houses of Ashchurch can just be seen in the haze in the background.